Our factory authorized and trained technicians have the knowledge to repair nearly all major household appliances. Let us show you why we're the manufacturer's Preferred SERVICE DEALER! Appliance repair services are provided in your home. We have most parts for many name-brand appliances in stock, so that means less time waiting for your appliance to be repaired. We use OEM factory specified replacement parts. The warranty for the parts used is in writing. 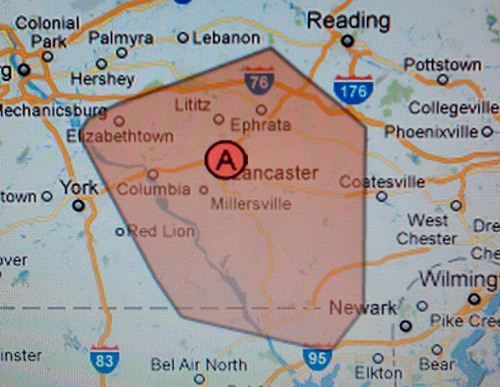 Our service area covers Lancaster County, and parts of Chester County, and York County, Pennsylvania, as well as northern Maryland. Our service area includes: Lancaster City, Willow Street, Strasburg, Lampeter, Millersville, New Providence, Drumore, Peach Bottom, Oxford, and more. See our service area map. Want to fix it yourself? Order the appliance parts you need through our appliance parts website. Use our Part Finder tool to search by part description, model #, or part #. We also offer repair manuals for common household appliances as well as in-depth repair tips. Order appliance parts here. Contact us today to schedule an appointment for one of our friendly appliance repair technicians to stop by. ©2019 Appliance Service Company, all rights reserved. Website by GYGD.